Orville Hinds, Team Evolution does it again. 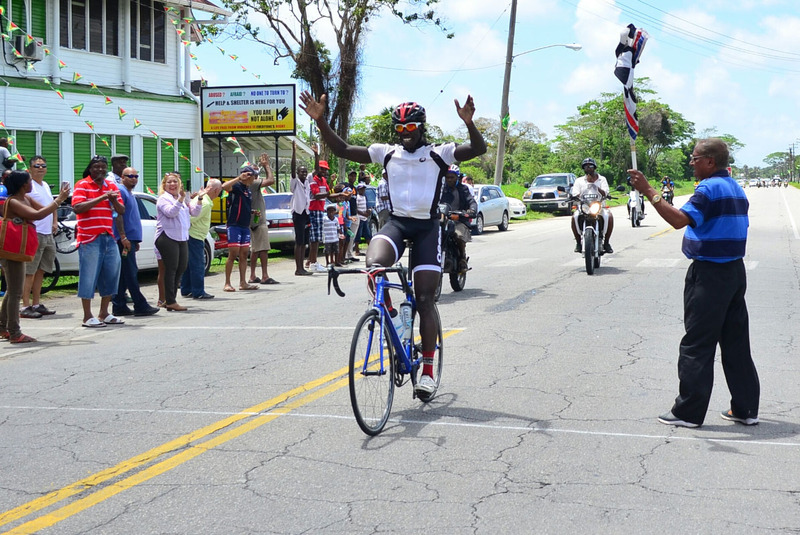 After two days and 171 miles of intense racing on the roadways, Orville Hinds once again emerged winner of the annual National Sports Commission (NSC) Independence Three-Stage Road Race yesterday. While Hinds played the starring role, it was the Team Evolution show once more. His club mates, Michael Anthony and Marlon ‘Fishy’ Williams placed second and third overall as the unit completed a podium sweep for the second successive year. Their other standout teammate, Raul Leal finished fifth overall as the outfit had four wheelsmen in the top six to underline their dominance. Hinds, 26, was in sublime form throughout the two days of racing. 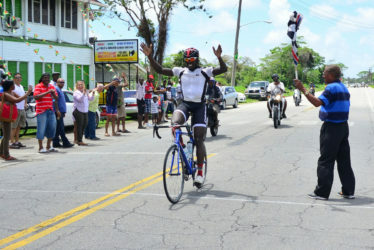 The national wheelsman won the first and the last stages and was first runner up in the second stage to Joseph Hercules of Anguilla. He finished the grueling event in seven hours, 10 minutes and seven seconds. Linden Bauxite Flyer’s Shaquel Agard placed fourth while Silvio Inniss was fifth overall. Heading into the hills of Linden, Hinds had a 29-second lead on Anthony. He obviously was the marked man but his teammates, protected him and did much of the work at the front of the group, weathering the wind and the persistent downpour. Hinds literally weathered the storm and then established a breakaway with Deeraj Garbarran, which jetted off at Grove. The two-strong cyclists opened up a minute and 30 seconds gap on the peloton and rode all the way to the city despite valiant efforts by the rest of the chasers. With the finish line in sight, many expected a fierce sprint finish but with Garbarran out of contention for overall spoils, Hinds was able to safely cruise home. He took the stage win in two hours, 54 minutes and 41 seconds. Raphael Leung (7hr: 21m: 47s) was once again the first junior, while Junior Niles (7hr: 16m: 34s) took home the veteran’s trophy. At the presentation ceremony, Minister within the Ministry of Education, Department of Culture and Sport, Nicolette Henry, congratulated the riders and the organisers for making the event a success. Henry also challenged the organisers to make the event much bigger next year.